Our gorgeous Pamper Gift Bags are a super fun gift for all the guests to take home after the pamper party. Each Pamper Gift Pack contains glamorous gifts from lip glosses, nail art to pretty purses and more. You have the option to choose face painting instead of our makeup session OR you can have face painting as an additional service to add to your Daughters PamperMe Party. *Our Face painting option also allows all kiddies, Boys and Girls, younger than 4 years old to get involved in the party fun! Add a touch of Glamour to your Pamper Party. This includes yummy kiddies sparkling champers in champagne plastic glasses with a touch of rose petals AND a sweet surprise! For a minimum of 10 guests, R60 per bottle thereafter. 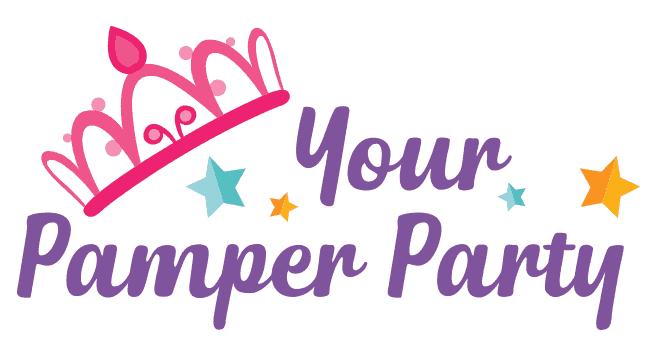 PamperMe Dress & Decor Box – including masks, feather boas, hats, & more. Our Pamper Dress up & Deco’ box is a must-have party extra and can be hired for some extra party fun. Our Photo-Boards are becoming a very popular must-have at our Pamper parties, especially for some fun photos. Let us organize all the guests some fab night gowns and slippers to take home. Please inquire about colours and availability. *Kindly note that we do not offer gown hire, the gowns are for purchase only. For your convenience, we hire out our Kiddies Chairs including our pink and purple chair covers to make life a lot easier for parents who are in need of the extra seating. • Standard delivery and collection fee R 100. Have any special requests? Let us know and we will arrange it for you.